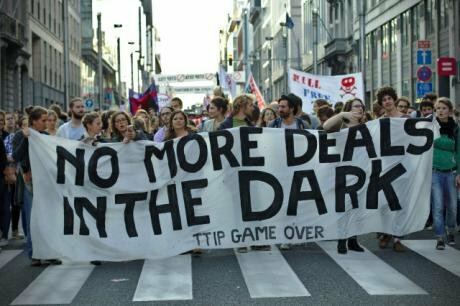 Will Brexit give the public more power to scrutinise secretive international trade deals like TTIP? Wikimedia. CC.From state aid rules and the Transatlantic Trade and Investment Partnership (TTIP), to VAT on women’s sanitary products, a range of arguments have been presented as reasons for why Brexit can help the UK left. It is far more likely that post-Brexit a Tory government will seek to turn the UK into a tax haven, undercutting tax rates in Europe in a desperate attempt to lure corporations to the UK. A Labour government, desperate to secure jobs and growth, might also be tempted to lure business through low taxes. MSC: This is a typical example of blaming the EU when it is muddled policy making back home that is really to blame. When Britain first joined the European Economic Community in 1973, under a Conservative government, it agreed to VAT on sanitary products being 17.5%. Following political pressure on the Treasury in the form of Early Day Motions from Labour MP Chris McCafferty and taken up by fellow Labour MP Dawn Primarolo in 2000, it was eventually reduced to 5%. Molly Scott Cato MEP has played a key role in fighting the tampon tax- but is it really imposed by the EU? 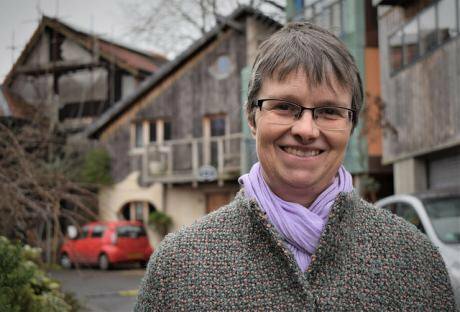 Flickr/MollyMEP. Some rights reserved. In addition, Brexit would not provide an optout from state aid rules anyway, as the World Trade Organisation imposes similar limits on subsidies members can pay to domestic industries. But when we look to Labour for a clear and strong alternative we find a party as terminally divided on Brexit as the Conservatives. Labour cannot claim to be a government in waiting when they won't even provide opposition on the dominant political issue of the day. Indeed, at their conference, the ‘Lexit’ wing of the Party was prepared to block a debate on Brexit.